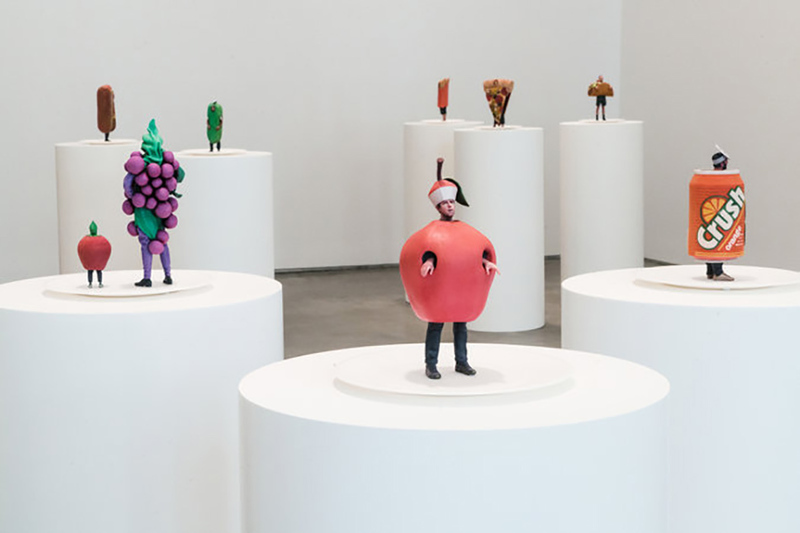 The Los Angeles-based sculpture artist Ry Rocklen, known to create around the themes of health and spirituality, presents new work with the exhibit ‘Food Group‘ ~ his first exhibition with Team Gallery. 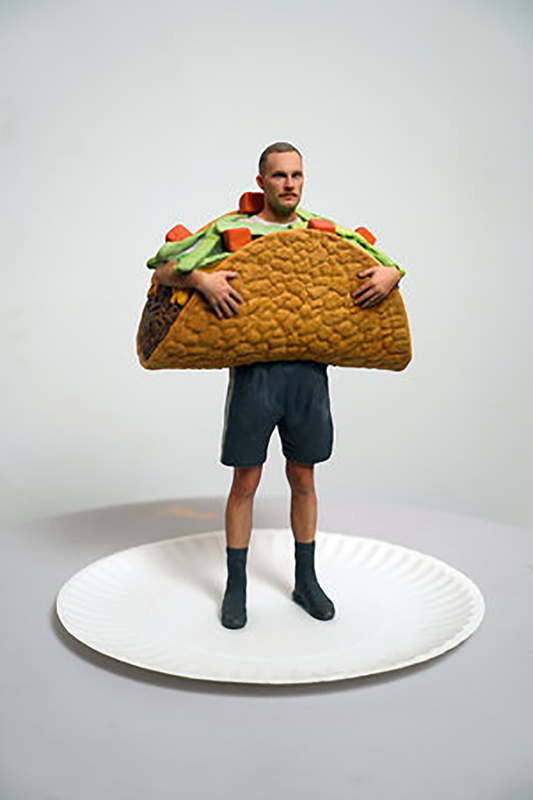 This new body of work consists of a 3D facsimile of a person wearing a food costume, created in the actual size of the specific cuisine. 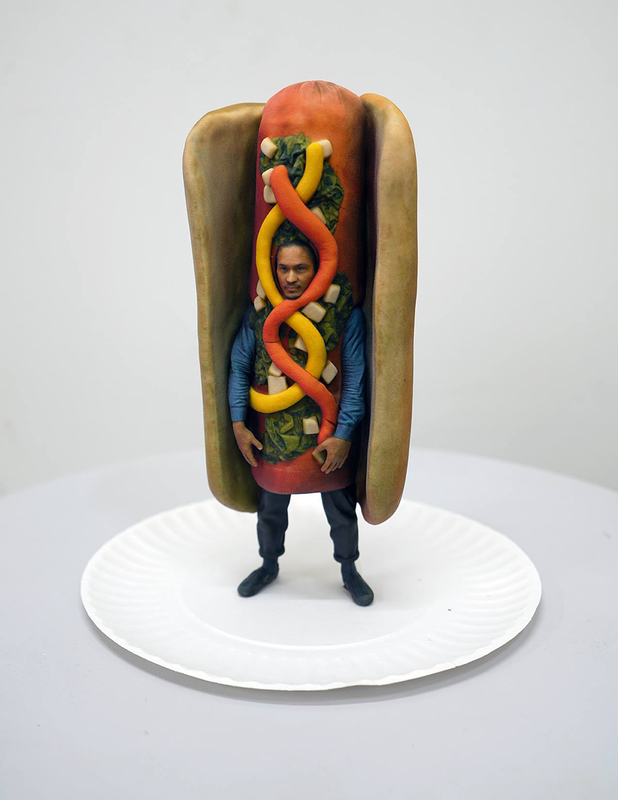 The foods are typical American fare ~ a hot dog named Brian, an ice cream cone named Jackie, each figure a real friend or colleague of the artist. 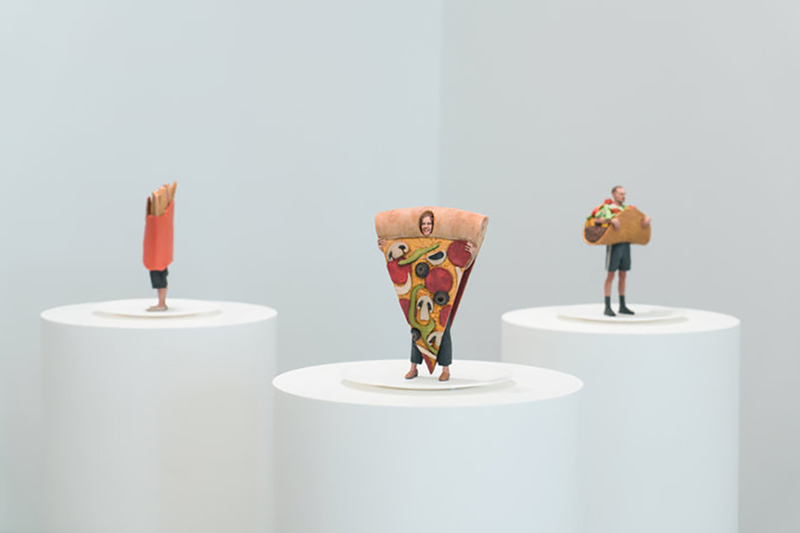 Food Group by Ry Rocklen will be on view to November 4, 2017 at Team Gallery, 83 Grand Street, NYC. Follow Team Gallery on Facebook.